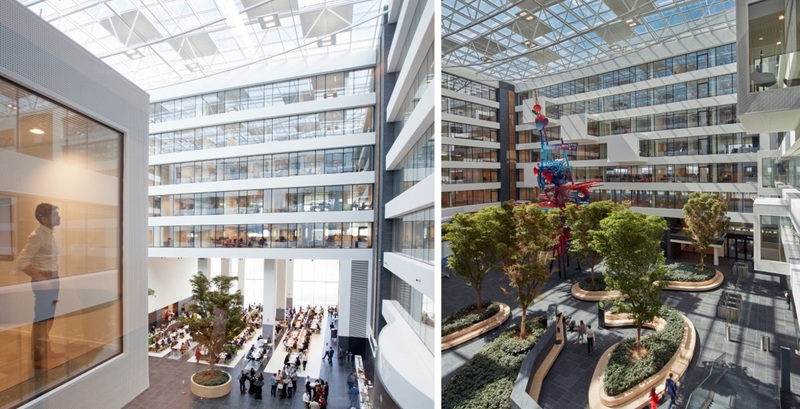 The new Deloitte HQ at the Brussels Airports is a reflection of what the company stands for: an international melting pot where work and leisure go hand in hand and where flexibility, communication and versatility are the key words. 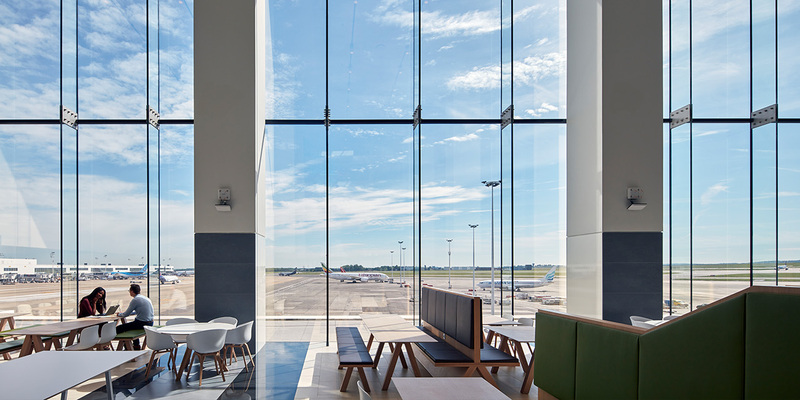 Jaspers-Eyers Architects have renovated two wings and built two new ones, turning the original U-shape into a closed O-shape. The structure is integrated into its surroundings in and understated way, with all the modern technology the project required. The exterior’s design radiates simplicity, but not one-dimensionality, it plays with open and closed, depths and recesses. 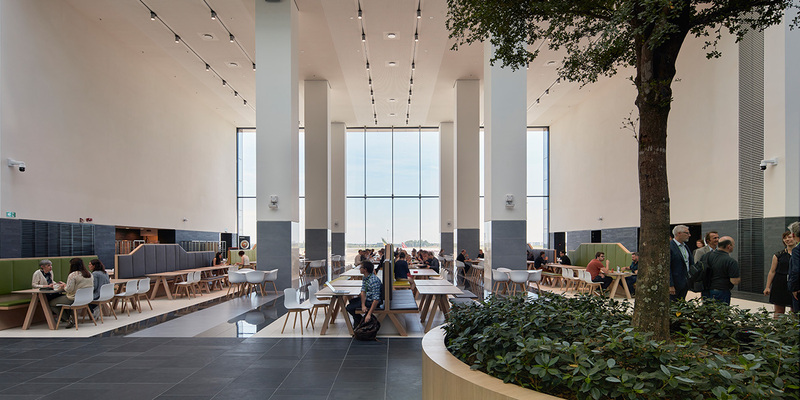 The project responds to an increasing demand for flexibility at work by creating space where work and leisure are interconnected. 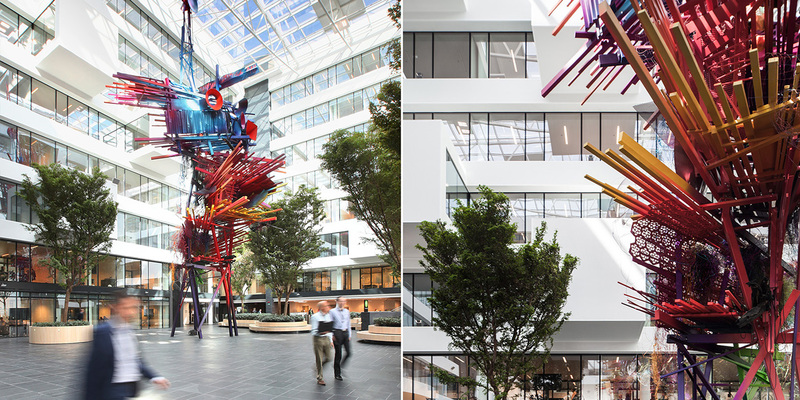 Offices set at different heights add a three-dimensional character to the space. The variety of possible workspaces is significant, allowing continuous communication from the roof top terrace to the fitness center, or even on the islands around the trees, with electric outlets for unhindered work. 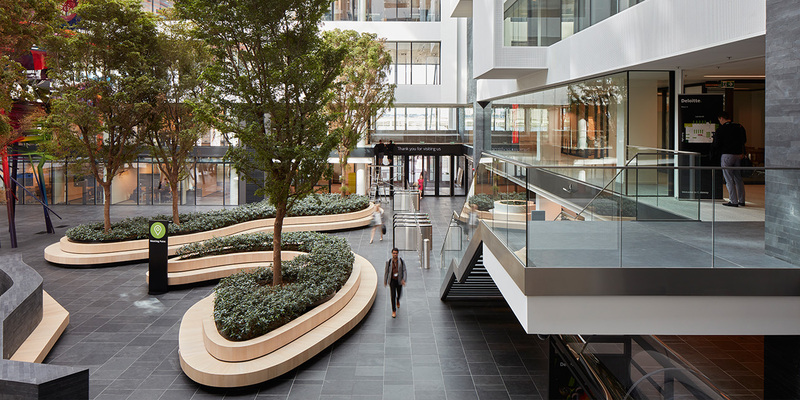 The large central atrium serves as a special microclimate where light and a lot of open space form a unique atmosphere, complete with greenery and patios.